I am a book-lover in a family of bibliophiles. I’d rather have my nose in a book than sit in front of the television, and I wish the same for my children. So, how best to grow a reader at home? Reading aloud daily -until your child leaves for college- is one of the best things you can do for his or her future success. If you don’t believe me, read the first chapter of this book. I love to read aloud to my children and I do so often. That said, there are times when this mama is busy and on those occasions I turn to audiobooks. Nowadays, audiobooks are readily available at local libraries and online. Audiobooks, in conjunction with read alouds, can make a wonderful addition to your homeschool. Audiobooks allow children to enjoy books that are above their reading level. This improves vocabulary and background knowledge. Audiobooks can be life-changing for children with learning difficulties. Audiobooks provide a read aloud model for children. There’s nothing quite like hearing a beautiful story retold, especially if that story is read aloud by its author. When listening to audiobooks, children are able to witness how others read stories with expression and emotion. Read alouds also improve pronunciation for unfamiliar words. Audiobooks are a great way to practice those listening skills. 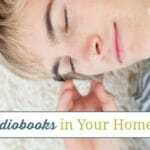 In addition to the above, audiobooks can be a lifesaver for busy homeschooling parents. They are a great way to sneak in some learning while you are busy teaching your other children, making dinner, or trying to work from hom. They are saviors on sick days, when everyone is tired of vegging in front of the TV. They can also help keep quiet time quiet so that mom can have a much-needed cup of coffee and afternoon recharge, and they make traveling with kids infinitely more enjoyable. 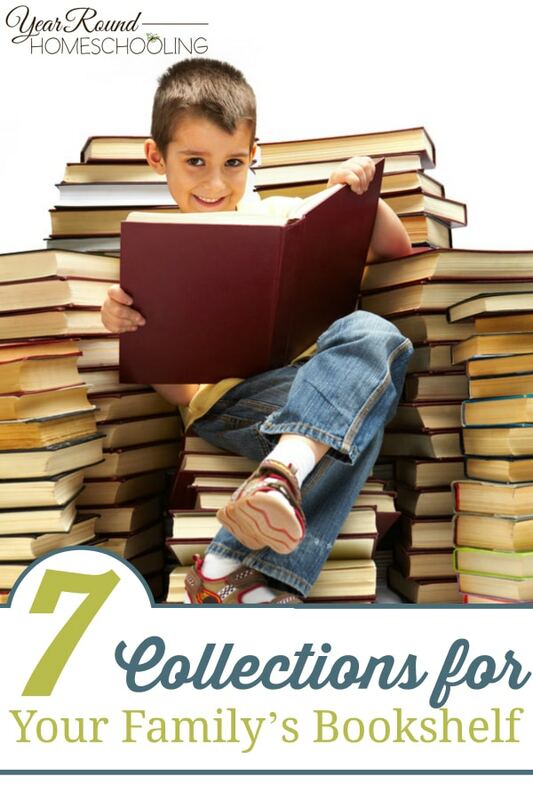 Today, I am going to share seven amazing collections for your family library, along with their audiobook counterpart. These are my family’s favorite audiobooks. Read on to find out why! Beatrix Potter’s stories are over 100-years-old and yet they continue to appeal to young children and adults alike. This beautiful hardcover collection contains the complete and unabridged works of Beatrix Potter with the original water-color illustrations. My children cannot read just one of these stories. They delight in the tales of Peter Rabbit as he wreaks havoc in Mr. McGregor’s garden. This book is extremely difficult to put down. This volume is sure to become an instant family classic, and would be a treasured gift to any new baby in your life. The Tales of Beatrix Potter audio CD includes Peter Rabbit, The Tailor of Gloucester, Squirrel Nutkin, Two Bad Mice, Mrs. Tiggly Winkle, Benjamin Bunny, Jeremy Fisher, Jemimah Puddleduck, The Flopsy Bunnies, Ginger and Pickles, and Mr. Tod. The stories are read aloud by Flo Gibson and provide a wonderful way to make the text come alive. No childhood is complete without a journey into the 100 Acre Wood to see what that silly old bear and his friends are up to. This volume contains the complete and unabridged works of A.A. Milne, with illustrations by Ernest H. Shepard. Milne’s stories are fully of whimsy and enchantment, imagination and wonder, and treasured acts of friendship. The A. A. Milne’s Pooh Classics Boxed Set (audiobook) is a magical collection. The books are read aloud by Peter Dennis and he does an amazing job. His performance of Piglet will have your children belly-laughing! Herriot was a British veterinarian who shared stories of working with animals in the rural English countryside. This volume contains eight short stories that appeal to young children and adults alike. Herriot’s stories illustrate the importance of animals and nature and they are paired with colorful artwork. This book is perfect for the budding naturalist in your life. James Herriot’s Treasury for Children: Warm and Joyful Tales by the Author of All Creatures Great and Small (audiobook) is a wonderful companion to the text. Fables are a wonderful way to start a family discussion on life lessons, and who better than Aesop to tell them? Aesop’s Fables have been around for over two thousand years. Your children will delight in these simple stories featuring animals and creatures, and you will delight in sharing each fable’s lasting message. This volume is contains beautiful watercolor illustrations with a vintage feel. The included CD contains a subset of the most popular Aesop Fables from the book. Fables promote social problem solving, morality, life skills, and cultural literacy. I have yet to meet a child who doesn’t adore Frog and Toad. Lobel wrote four books featuring the delightful duo. The energetic and optimistic, Frog, and his pessimistic buddy, Toad, prove that opposites attract. The stories contain the exciting and often humorous adventures of these two pals. These stories capture the warmth and loyalty of true friendship. The Frog and Toad audiobook is read by Lobel himself. Lobel was a dynamic reader, making for a memorable read aloud. This audiobook is so entertaining that you don’t even need to have the book in front of you. *And, if you like Frog and Toad, I would be remiss if I didn’t mention Lobel’s Owl at Home. This beautifully illustrated book contains several short stories about Owl and his visitors. The book makes a fantastic early reader for your young child. It is far more interesting than other early readers on the market. Your child will remember reading this book for years to come. This 5-volume hardcover set would be perfect for the Dahl fan in your life. The set contains: Charlie and the Chocolate Factory, Charlie and the Great Glass Elevator, Danny Champion of the World, James and the Giant Peach, and Fantastic Mr. Fox, with illustrations by Quentin Blake. Dahl was an amazing storyteller. His stories are guaranteed to engage the imagination. The Roald Dahl Audio Collection contains the following: Charlie and the Chocolate Factory (abridged), James and the Giant Peach (abridged), Fantastic Mr. Fox, The Enormous Crocodile, and The Magic Finger. These stories are read aloud by non-other than Dahl himself. I don’t know about you, but I adore audiobooks read aloud by the author, especially when that author is no longer with us. These books and audiobooks are treasures that your children will remember for years to come. For over fifty years, this fantasy series has captivated children and adults alike. This box set contains the entire, unabridged seven-book set. This was my Harry Potter, folks. Once you crack open the first book, you will not be able to put it down, and when you close the last book’s cover, you will mourn its ending. Your older children are guaranteed to love this must-have collection. The The Chronicles of Narnia Complete 7-Volume CD Box Set (unabridged) is an amazing audio collection. Each of the seven books is read aloud by a different performer. This collection would make any road trip enjoyable. Do you have a favorite family collection? Share it with us in the comments! 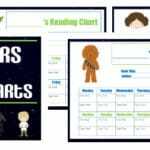 Follow Misty Leask’s board Homeschool : Reading on Pinterest. Cait is a school psychologist, mom to three amazing children, and an unexpected homeschooler. She loves nature, good books, board games, strong coffee, and dancing in her kitchen. You can read about all of these things and more at My Little Poppies. Cait co-hosts The Homeschool Sisters Podcast. 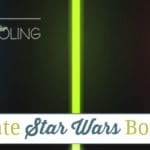 She is a contributing writer at Simple Homeschool and GeekMom. Her work has also appeared on The Huffington Post, The Mighty, and Scary Mommy. Cait is founder of Granite State Gifted, a support group for families of gifted children in the NH and MA area, and is co-founder of Raising Poppies, an online Facebook community for parents of gifted and twice-exceptional children. You can find her on Facebook, Pinterest, Twitter, Instagram and G+. That’s a really good one, Erin! !